Surveys and studies consistently show that a greater percentage of seniors (about 80 to 90 percent) prefer staying in their own home as opposed to an assisted living community as they age. Depriving them of this freedom is not preferred, even when it is their safety and wellbeing you are after. Fortunately for adult children, there are emerging technological solutions that can make seniors live safer even as they choose to spend their sunset years independently. Senior emergency alert systems with senior GPS tracker are rising in popularity as an excellent solution for keeping seniors safe as they choose to live alone. 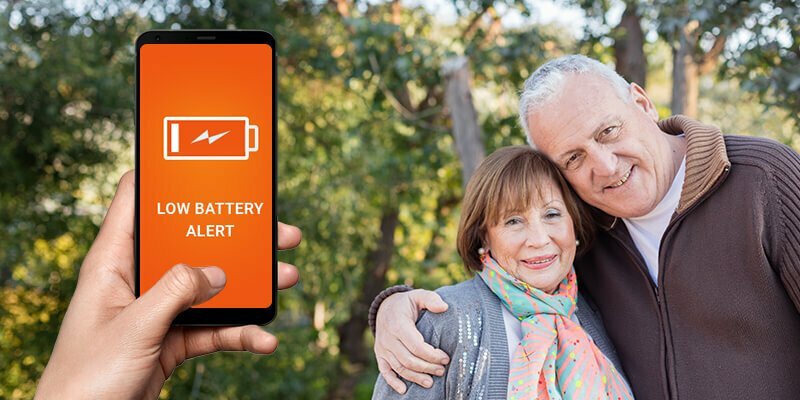 With Senior emergency alert systems, your aging loved ones can live their lives more freely while knowing that help is just a touch of a button away. These senior alert applications are equipped with robust features that offer greater peace of mind for caregiver children and loved ones who want to ensure the safety of their elderlies. Perhaps one of the best offerings of Senior emergency alert systems is a quick and easy means of requesting help and raising alarm as emergencies happen. For instance, an alert app can send out SOS messages to pre-configured email addresses or emergency contacts with GPS coordinates in case of an incident. This ensures that request messages go out with real-time location, thus eliminating guesswork and helping emergency contacts reach the user immediately. This is only one way that a senior GPS tracker can be of use in an emergency alert system. Another way that a senior GPS tracker can be beneficial is setting up geofences or safe boundaries for seniors. Geofence alerts are especially helpful in setting up a safe radius for seniors to wander about. Knowing when their smartphone enters and leaves certain pre-configured geographical areas—like their neighborhood, street, workplace, or errand routes—can be useful in making sure that your elderly loved ones are making it to their appointments, getting their exercise, and are within safe zones at all times. This is a great way to keep tabs on aging parents, especially those who are starting to experience memory loss or are prone to losing their way back home. Senior emergency alert systems can be useful in many other ways, such as tracking both activity and inactivity in a user’s device, as well as detecting falls and impact-related incidents. Caregivers can even choose to monitor app usage in a seniors phone to help protect them from scheming characters online.